SciFi Japan has info and high-res images from Toei for PARTNERS: THE MOVIE III, the fifth film based on the hit TV series AIBOU: TOKYO DETECTIVE DUO. 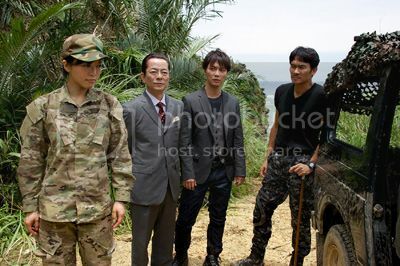 The supporting cast for the new movie features some familiar faces from daikaiju and tokusatsu films: Yumiko Shaku (GODZILLA AGAINST MECHAGODZILLA), Tsuyoshi Ihara (GAMERA: GUARDIAN OF THE UNIVERSE), Toru Kazama (MASKED RIDER THE FIRST) and Shin Takuma (RETURN OF GODZILLA). the second 'Partners' movie seem like a good one. It's a pity that people in America won't be able to see it.